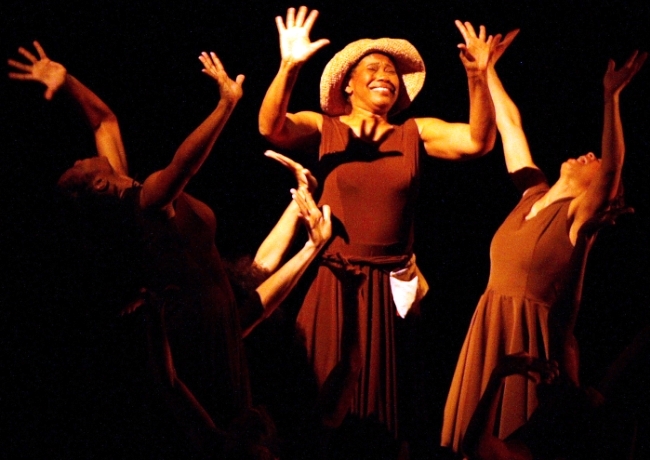 Wed., April 13, 7 p.m.: Get Bushified at a monthly culture and community series that introduces you to the Urban Bush Women (UBW) way and brings you into their community through dance, workshops, conversations and films that show what a great impact dance has on health & wellness, education, communities, individuals and innovation. In anticipation of UBW’s tribute to Associate Artistic Director Christine King at Harlem Stage (NYC) on April 30, Jawole Willa Jo Zollar hosts an intimate conversation with Christine about her 21 years performing with UBW as a dancer, vocalist and narrator. Enjoy stories, video and a special appearance by UBW dancers in this fun celebratory evening.